The sparkling polka dots and the red & green sleigh bells are just the right touch to say Merry Christmas. 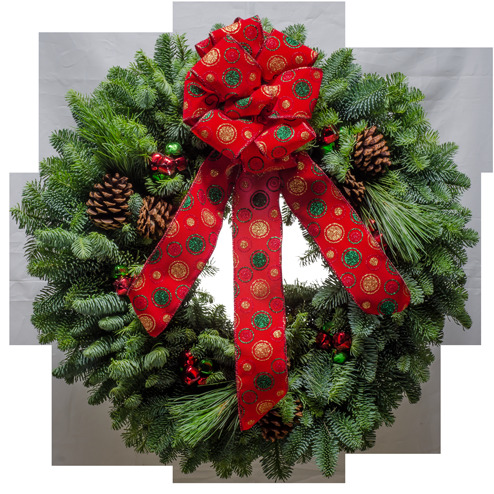 The outdoor Christmas wreath makes a great gift for family, friends and business associates. Guests will love hearing the gentle ringing of the Christmas bells as they walk through the door. "Thank you so very much for the beautiful wreaths you sent for us. We are getting so many thank you notes from the people we have you send them to. People always look forward to receiving them each year."